AWESOME!! I love all the sparkle and the apple!! GORGEOUS!! Thanks for playing!! Hey Sara -- this is beautiful! It's so nice to meet another Twilighter -- thanks so much for playing along! WoW! This is beautiful!!! 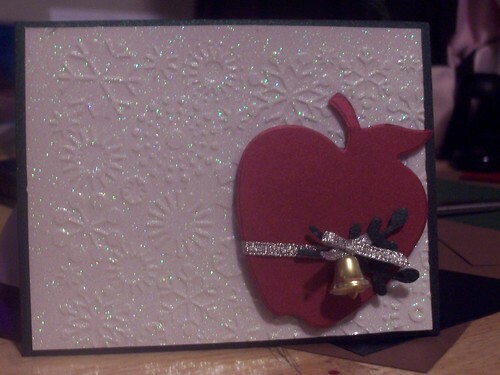 I love all of the sparkle ;) and the apple is perfect! So pretty and sparkly! Awesome job! This is GORGEOUS! I'm sorry I didn't see it before Christmas, the apple is perfect!